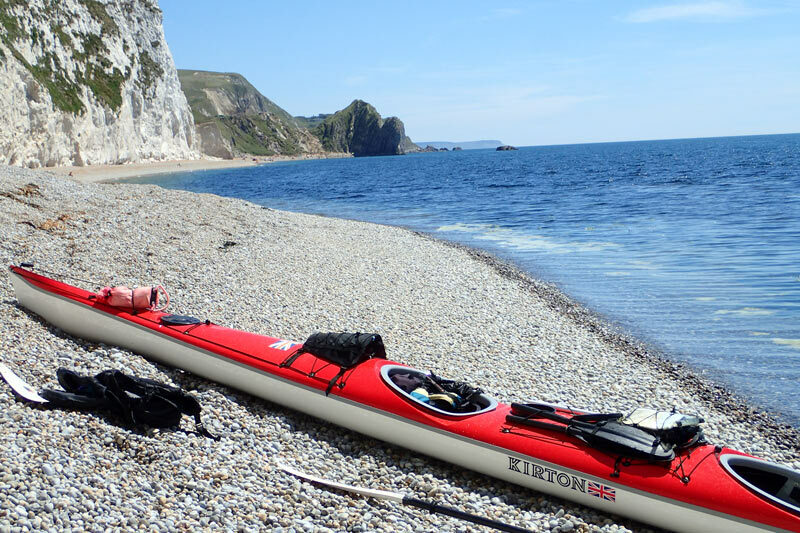 This double expedition kayak was designed by Rob Feloy. It has sleek line, good stability and the speed for long open crossings. The Njord II is suitable for both serious expeditions as well as day-tripping. The cockpits are space well apart to allow freedom movement and independent paddling. This allows paddlers of different abilities to enjoy kayaking together. This fast responsive craft is capable of easily maintaining speeds in excess of five knots. Four water-tight hatches with bulkheads. Below: Standard bulkhead and hatch layout of Njord. Grey areas indicate flat mounting points for optional accessories/hatches.